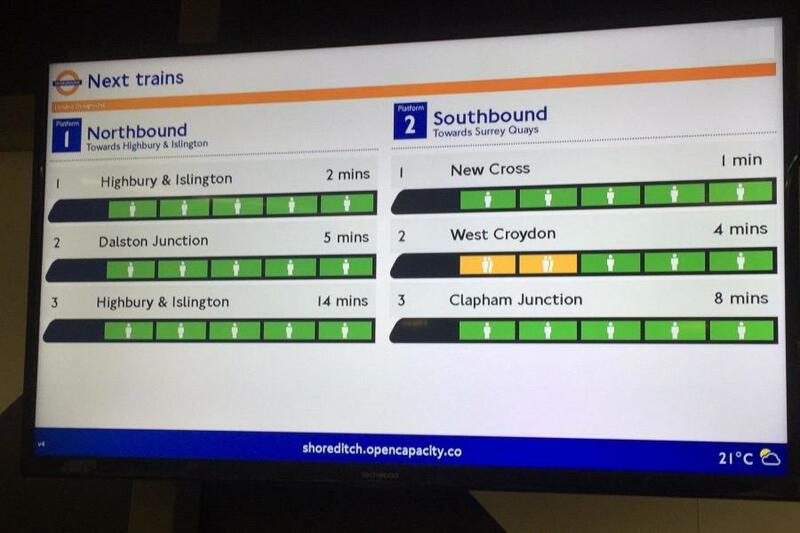 Commuters hailed an innovative new scheme designed to show London Overground passengers how busy their trains will be. The software, which Transport for London installed on Monday 16th October, is currently being trialled at Shoreditch High Street Overground station in east London. If successful, TfL has said more funding could be sought to expand the project to other stations. The new screen, placed at the entrance to the platform, shows customers a visual indication in green, amber or red to tell them which carriages will be busiest. The technology works by analysing a year's worth of "loadweigh" data from the trains, alongside back-office information on station entry and exits, all compiled to produce an estimate of each carriage's capacity. Commuter Izzy Jones, 32, of East Dulwich, said: "This is absolutely brilliant. I love that feeling of picking out the right carriage and am always left feeling frustrated when I get lumbered with a really busy one." Anthony Davids, 54, who commutes into London from Watford, said: "I think it's a marvellous idea. Hopefully it will make getting that rush hour train just a little more bearable. "It wouldn't hurt to make it better signposted though - I'm not sure I would have noticed it if I was in a hurry." But not everyone was impressed. Alexander Pelling-Bruce, 26, of Kilburn, said he couldn't see the point of the service. He said: "Isn't this just completely unnecessary? I don't see why anyone would need to use this. Just use your eyes." Regular commuter Jan Bowman, from Deptford, thought otherwise: "What a fabulous idea. I usually just stand at the end of the platform, where the emptier carriages tend to come in, but I can see how this would really benefit a lot of people." 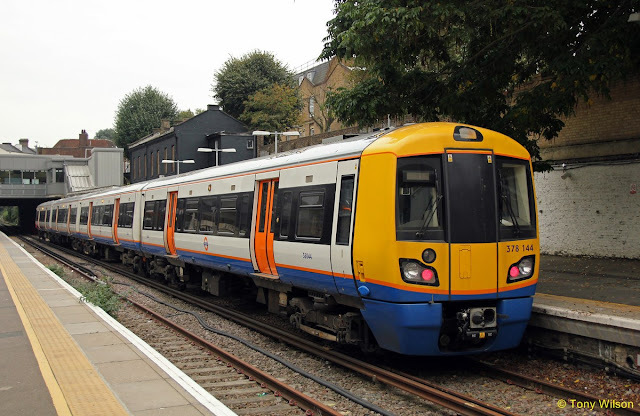 Jonathan Fox, TfL's director for rail and sponsored services, said: "As the popularity of London Overground continues to grow, we want to make customers' journeys easier and more comfortable. "The new technology and customer information being trialled at Shoreditch High Street will mean customers can board more quickly and easily and we can minimise delays." The program will be on trial at the station until December.